In love with shooting everywhere. If you’re a photographer and you want to shop our presets, actions, tutorials, online workshops, books and more… head to our store here. This website is still in the process of being created. Please read my blog to learn more. Styling and overall concept is incredibly important to the look of a brand/campaign/photo shoot. Our team has a combined experience of over 20+ years conceptualizing, designing, styling, hair/make-up artistry, shooting and editing. Get in touch and let’s start chatting about a vision for you personally or your brand. Owning and photographing for the award winning, prestigious studio, The Boudoir Divas, Marissa has learned how to make a powerful image. Her vision continues to grow as she aims to push new creative boundaries with each shoot. Read below to hear about some of the ways we’d love to collaborate with you and make something awesome. Nothing pushes a campaign like video imagery. Music videos, commercials, promos and behind the scenes videos are her thing. Check out the video section for more. We all have something stirring inside us. Something a little wild and mysterious that calls out to us, whispering for us to start moving forward. To stand up. To RISE. These aren’t your average portrait sessions. 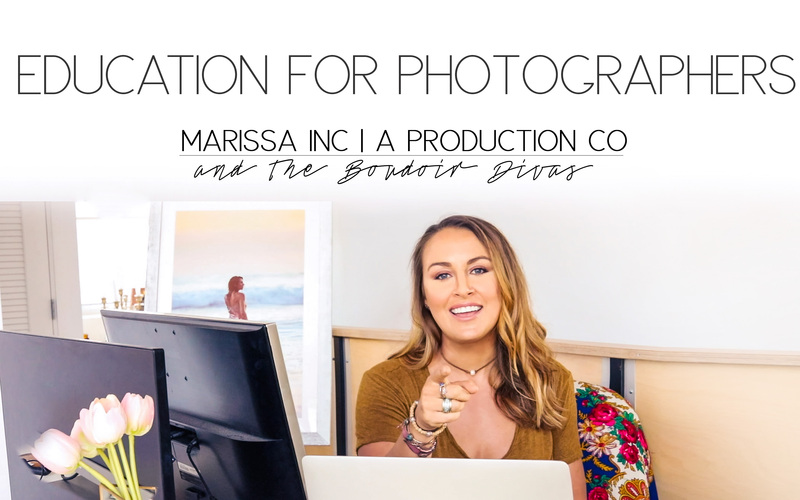 Click here (coming soon) to learn more about creating imagery with Marissa that will call out to you every time you look at it. Every emerging brand/artist needs powerful visuals that speak to who they are. To set the mood and tone for what it is they are selling. Let’s make some magic to propel you into the next level. Whether a photo session, a promo video, a music video or all three, we are stoked to send you off in serious style. We believe that we are one of the most experienced and trusted boudoir photography teams out there. We believe every woman is uniquely beautiful and we have created a space to showcase this in the most artistic and hip way we can imagine. With the sea and our studio as the setting. Every year we head to an exciting destination and do photo shoots (for models and photographers)!! This year it’s the Riviera Maya & Tulum, last year it was Greece, before that Paris. Learn about our 2019 trip! We still have 2 photographer spots! "Ever since I can remember my head has been lost in the imaginary. The swirling of color, texture, and emotion are always on the stage that is my brain. I am in love with coming up with imagery. I am also in love with showcasing a product, someone's hard work and talent, in a way that communicates vibrantly. Together let's dream of a concept and then I will execute it simply and in a timely manner." Anything else you like us to know? Or any specific questions?